I can never quite decide if I like these Remco Dolls or not. I think this one is growing on me though, and with an estimate of £50-£60 they are obviously collectible. 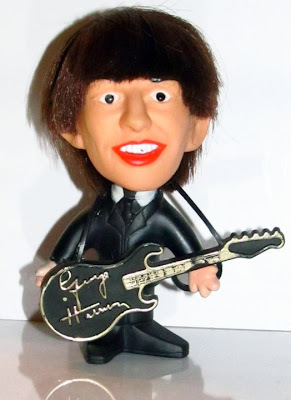 This 1964 NEMS licensed George Harrison doll complete with guitar will be in our auction at the end of August. We all live in an original box!